Every nomination is automatically saved, but may be changed up until the close of the nomination process, at which time all saved nominations are submitted for counting. 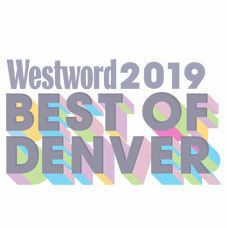 Bring out your best for our 35th-anniversary edition of the Best of Denver, our annual celebration of everything we love about the Mile High City. Over the years, we've honored thousands of people, places and things around town, and on March 28 we'll honor hundreds more. But first, we need your help: We'll include readers' choices on more than 160 categories in the final issue.